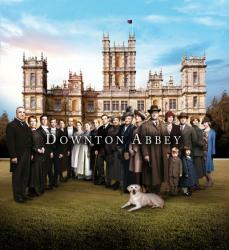 If you're missing Downton Abbey, come get your fix labor day weekend! For those suffering from Downton Abbey withdrawal, missing their weekly dose of the joys and travails of the Crawley family and their servants, despair no longer. WXXI has scheduled a binge-worthy Labor Day weekend marathon of all six seasons of the top PBS drama of all time! Kicking off Friday, September 2, 2016 at 9pm on WXXI-TV and ending Monday, September 5, 2016 at 12am (midnight), this Downton Abbey marathon is sure to be what your weekend was missing. This round-the-clock celebration features every enthralling moment of the unforgettable series. Plump the cushions, pour the sherry and settle back into the world of the witty Dowager Countess and her “frenemy” Isobel, the Crawley sisters and their below stairs counterparts, for all the romance, intrigue, heartbreak, and happiness “Downton” provides.